We can also offer larger formats and half bottles. 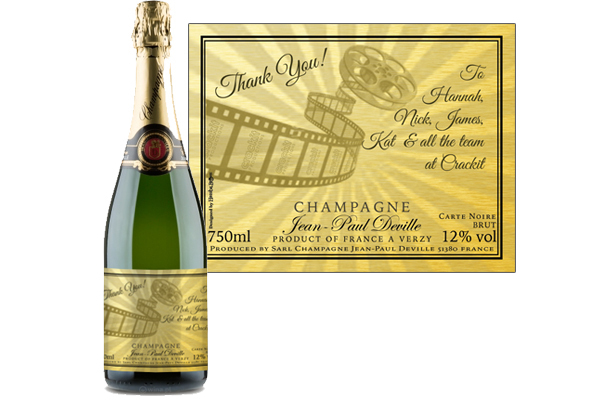 Please see below for other personalised sparkling wine options. 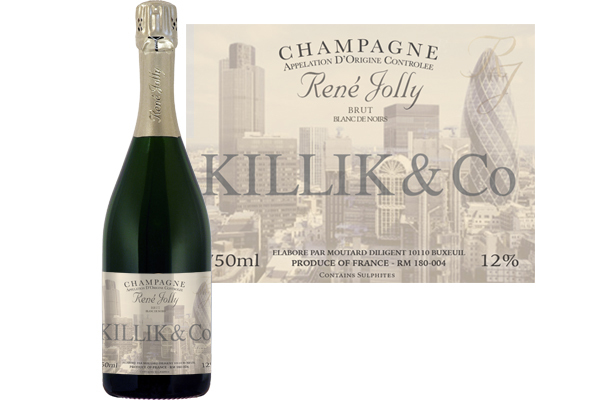 We offer Champagnes from small artisan producers who offer great quality. Choose from a range of organic, rosé and just plain delicious Champagnes. Then send us your photo, message, brand or ideas and we will do the rest. There is no minimum order and each bottle will come cellophane wrapped. Single bottles come in a cardboard gift carton. You can upgrade to wooden gift boxes. Take a look at some of our previous design work below or in our Gallery. 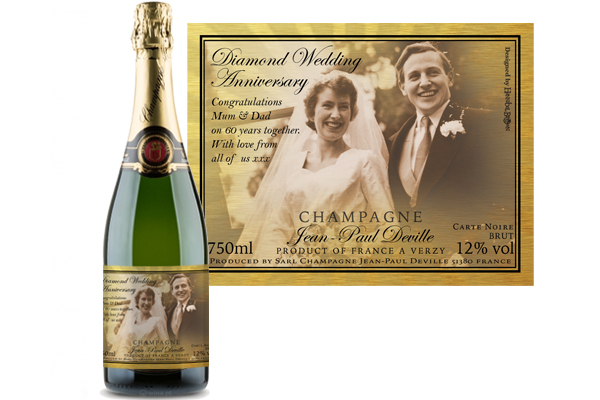 To find out more about Personalised Champagne gifts or to place an order, call us on 020 3876 8008 and one of our friendly team will be happy to help. 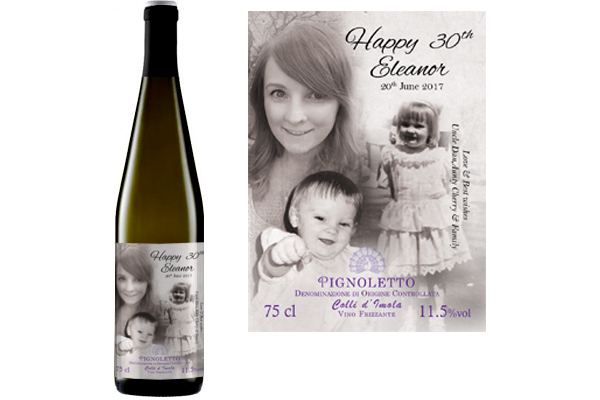 We can also offer larger formats and miniature bottles. Please contact us for more details. Our Italian sparkling wines are dry and crisp. The Pignoletto is a little more fruity than the others, but still with a lovely bubbly freshness. 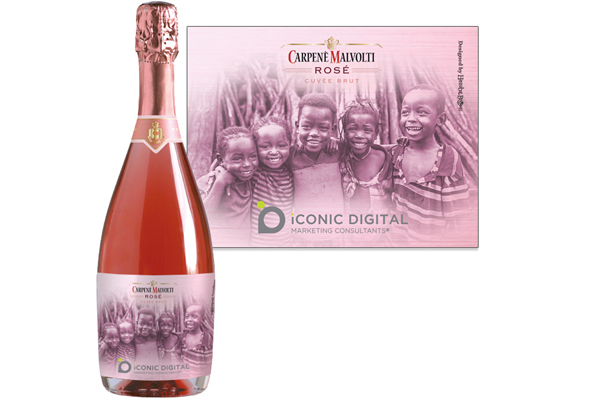 Once you have chosen your wine alll you need to do is send us your photo, message, brand or idea and we will do the rest. Take a look at some of our previous design work in our Gallery. 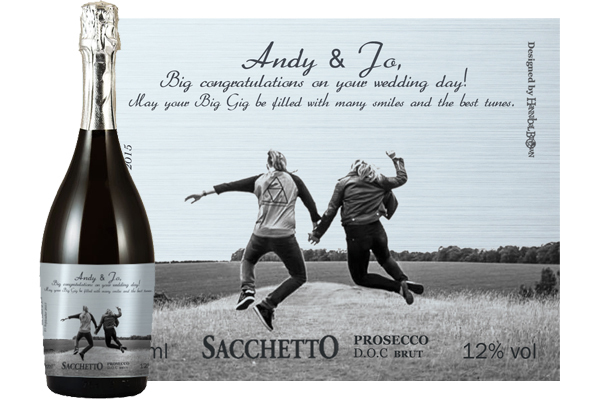 To find out more about Personalised Sparkling Wine Gifts or to place an order, call us on 020 3876 8008 and one of our friendly team will be happy to help.